Monsoon rain of July 28, 2010 – Dark day, but more was ahead! In 2010, July 28 was beautiful day all over Pakistan, monsoon season was in full swing. Rains were lashing the country from Karachi to Kashmir. But a dark news struck the nation that a private plane operated by the Airblue company has crashed into the Maragallas in Islamabad. Pakistanis all over the world watched the horrifying images surrounding the other wise beautiful spots in the capital. On that day 152 people died, all of them were on board. 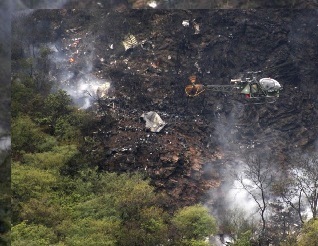 It was the deadliest air incident in the history of Pakistan. After the crash, many professionals and international experts blamed the weather over Islamabad. After the crash, there was another crisis that was waiting to have the world’s attention. It was the floods that generated from North and went down all South, killing atleast 2,000 people. What was the weather over Islamabad on July 28? Most experts blame weather for the incident on July 28, the weather was cloudy in the city of Islamabad on that day. The flight left the port city of Karachi at 7:50 am PST, the weather in Karachi was that, thunderstorm were developing during that morning and rain/thunder showers occurred during the afternoon and evening. Controllers at Benazir Bhutto International Airport lost contact with the flight 202 at 9:43 am PST after they delayed its landing 13 minutes earlier. Poor weather forced controllers to divert another aircraft attempting to land 30 minutes before the crash of flight 202. 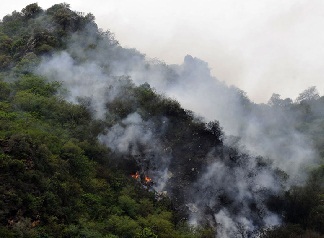 The weather conditions before the accident were cloudy with fog and mist surrounding the Maragalla hills. The winds were blowing from NE, the intensity of the winds before the crash were 25 kph to 40 kph, the winds got stronger after the crash, about 56 kph winds were blowing in the after noon. The visibility was about 2 kilometers before the crash, though it gradually started increasing from 8:30 am PST. There were many clouds on that day, but all of them were few at different altitude. Broken clouds at 10,000 feet. Scattered clouds at 4,000 feet. Few clouds at 3,000 feet. Few clouds at 1,500 feet, all of them were Cumulonimbus calvus, these clouds can develop into a severe thunderstorms and produce rains with gusty winds. The conditions were poor for flying, but nothing unusual for the pilots flying to Northern Pakistan during the monsoon season, as experts say. Which system was behind the rainfall in Islamabad on that day? It was a strong low pressure that developed in North Bay of Bengal on July 24 and started its journey from Bay to Pakistan’s Sindh province. It reached central India on July 26. From July 26, monsoon currents started reaching Punjab and Sindh. At least 139 mm rainfall was recorded in Karachi from July 26 till July 28 as the system reached central Sindh. Extremely heavy rainfall occurred in Khyber and Punjab due to the interaction between strong monsoon currents and strong western trough. Though the low dissipated over Sindh on July 28 night, monsoon currents and strong western trough kept causing rainfall in Punjab and Khyber. The interaction between strong monsoon low and strong western trough also caused the great floods of Pakistan. Nobody in the world knew that there would be such massive flooding in Pakistan due to these systems. 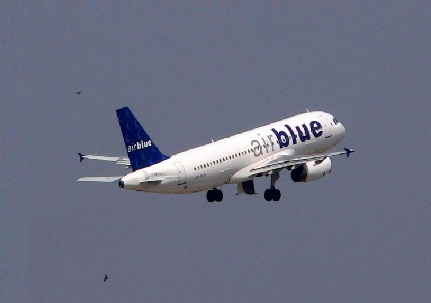 The Airblue flight 202 took all the attention from the rainfall in Khyber and Punjab, but two days before the incident it all started. According to Flood Forecasting Division of Pakistan, It was said that river Jhelum at Mangla was likely to attain a high to very high flood level ranging between 150,000 to 300,000 cusecs during the period from July 28 to July 29, people living close to the rivers were warned but the authorites were late. In Khyber, high flood was forecasted in Kabul river and other local rivers of the province. Flood situation in low lying areas of Peshawar, Nowshera, Charsada, Mardan, Swabi, Bannu, Karak and Lakimarwat Districts further worsened on July 30 and July 31. Landslides and floods also occurred in Kashmir and Gilgit. In Punjab, the local nullahs of Rawalpindi and other cities were all time high as well. Urban flooding was witnessed in Lahore, Islamabad, Multan and Peshawar. It is worth mentioning that record breaking rainfall was observed in Punjab and Khyber during the month of July. So was it over? – No, it was just getting started! Two strong low pressure areas developed in the Bay of Bengal and all of them went to Sindh, bring rainfall once again from Kashmir till Karachi. The western trough also approached the upper parts of Pakistan during the same period and caused once again a second flood to generate that once again battered the country and worsening the over all flood situation in the country. 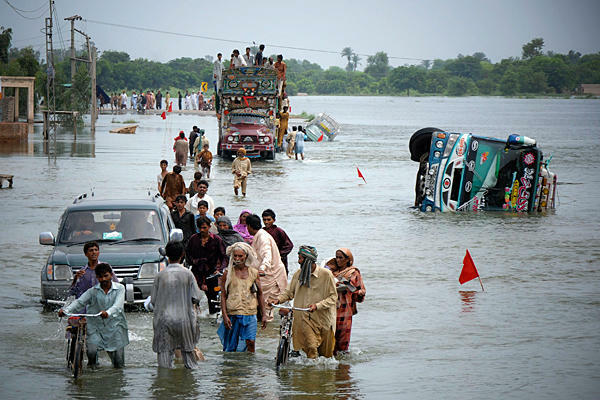 The floods caused about $43 billion damages to the Pakistani state and about 2,000 people lost their lives. About 20% land of Pakistan was sub-merged under water, with cry of people from Giglit to Thatta, all begging for help. ← Floods this year in Pakistan can’t be ruled out!